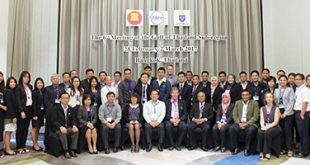 The SEAFDEC-Sweden Project brought together over 35 officials from Indonesia, Malaysia, Myanmar, and Thailand, and representatives from FAO and SEAFDEC at the 4th Meeting of the Andaman Sea Sub-region, which was organized from 20 to 21 November 2018 in Bangkok, Thailand. 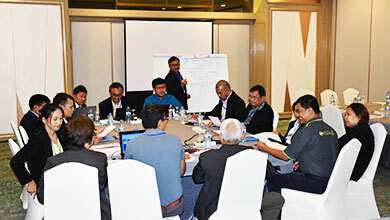 The aim of the Meeting was to report the progress on the activities made by the countries and SEAFDEC in 2016 up to the present in relation to the promotion of appropriate fisheries and habitat management, particularly on the transboundary fishery resources (anchovies, mackerels, and neritic tunas), and update on the country’s efforts on combating IUU fishing and management of fishing capacity, specifically on the sub-regional cooperation on Monitoring, Control and Surveillance (MCS) around the Andaman Sea. In addition, the Meeting also emphasized the case study on the social profile and gender dimension in Kaw Thaung, Myanmar. Based on the findings of the study, it was hoped that the communities would receive opportunities of having alternative source of incomes for their well-being. 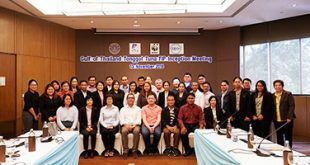 It is anticipated that the sub-regional cooperation on the fisheries management in the Andaman Sea Sub-region will be further strengthened.